I spent more than an hour this morning with the local head of Pakistan's army, namely Col. Javed of Barnaala (AJK); explaining who I am and what I'm doing in AJK un-interrupted since April 2005. In summary, that I'm exercising the Right to Self-Determination as a citizen of this hapless territory which has been deprived of its own narrative and political agency. 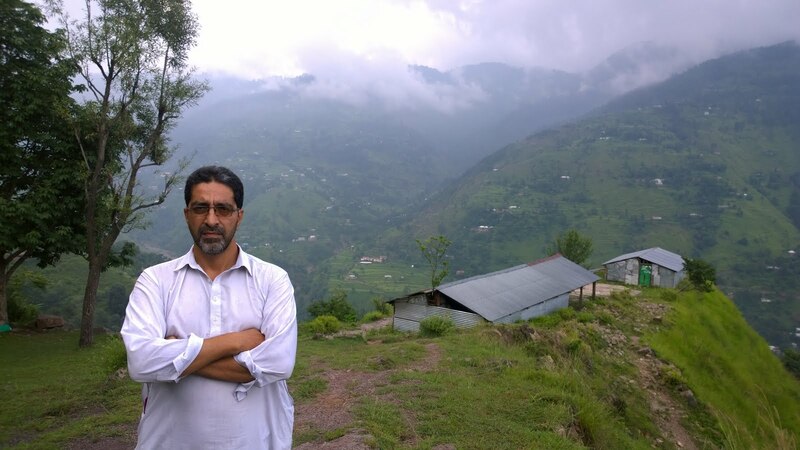 I'm conducted the final phase of the National Survey begun in 2011 (which involves randomly sampling 10,000 citizens of AJK by covering every tehsil, profession and tribe) while my wife and two children have been trying to 'enjoy' the natural delights of Kashmir during their summer holidays. 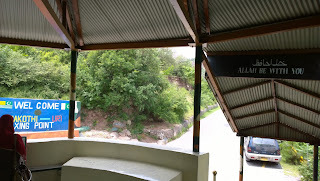 The above-mentioned gentleman came to the house where we were staying about an hour after iftaar in desperate search of a way and means to oust me from this part of my motherland. The hour long discussion was heated at times and involved many an inane question from him. In the mutual cross examination that ensued, i discovered that he had 'migrated' from Uri (barely 20 kilometres away on the Srinagar Road beyond the LOC) in 1990. It sickened and disgusted me to see him straining to find a way of pleasing his Pakistani superiors. An acute form of treason he was engaged in though little did he consider it as such. By the grace of the Almighty, he chose the wrong individual of course and sheepishly left after an hour. As for Pakistan's premier spy agency: smart move - to use a state subject for their dirty work - but not smart enough! On a more serious note, the above is just a glimpse of what the local citizens of the 'free' part of the State of Jammu and Kashmir have to endure on a daily basis, decade after decade. All for the cause of Pakistan's myopic security and water interests, concealed under the guise of a benign Islamic fraternity.